Emergency events in solidarity with Bolivarian Venezuela and against U.S. interference and intervention took place in a number of cities around the United States in early June. Called by the International Action Center, demonstrations were organized to show support for and solidarity with the besieged Venezuelan government and the revolutionary process that U.S. imperialism is trying to sabotage and destroy. Here are reports from several of these actions. A small but determined crowd picketed on June 2 at the Ron Dellums Federal Building in Oakland, Calif., to demand “U.S. hands off Venezuela!” Activists held signs in defense of the Bolivarian Revolution and against threats by the U.S. and the Organization of American States to force regime change in the South American country. The picketers faced jeering chants from a small but vocal group of right-wing Venezuelans. The forces supporting Bolivarian leader and Venezuelan President Nicolás Maduro chanted “Not U.S. land, not U.S. oil, hands off Venezuelan soil!” and “USA makes endless war, Venezuela feeds the poor!” among other slogans. The Bay Area demonstration was initiated by the International Action Center; the International Committee for Peace, Justice and Dignity; and the Haiti Action Committee. Endorsing organizations included the Answer Coalition; Arab Resource and Organizing Center; Bay Area CISPES; Bay Area Latin America Solidarity Coalition; International League of People’s Struggle-U.S.; Marcha Patriotica de Colombia/California Chapter; Socialist Action; San Francisco County, Santa Cruz County & Sonoma County Peace and Freedom Party; Task Force on the Americas; United National Anti-war Coalition; and Workers World Party. A small but visible “U.S. Hands off Venezuela” demonstration was held in Portland, Ore., on June 5. The IAC protest received honks, cheers and thumbs-up from four lanes of after-work commuter traffic. Despite a steady rain on June 6, a small crowd of determined supporters of the Bolivarian Revolution converged on CNN Headquarters in Atlanta. They exposed the role of U.S. corporations, government agencies and the big-business-owned media in promoting regime change in Venezuela. Initiated by the IAC and supported by the Georgia Peace and Justice Coalition, the message of the signs and banner brought numerous approving honks and waves from drivers in the busy downtown intersection. The protest followed the broadcast of “What Every Worker Should Know about the Venezuelan Revolution” on The Labor Forum program on WRFG 89.3 FM a day earlier. Workers World Party’s Durham, N.C., branch hosted a film screening of “The Revolution Will Not Be Televised” in solidarity with the Bolivarian Revolution in Venezuela on June 4 at the Durham Solidarity Center. The day before in New York City, a large audience, including a delegation of Venezuelans, attended a viewing of the same movie sponsored by the IAC and WWP. A protest in solidarity with the Venezuelan Revolution was held in Times Square on June 6. 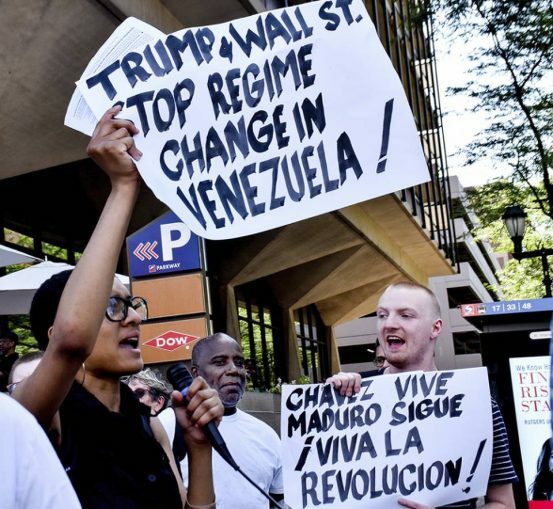 Organizers in the Philadelphia branch of WWP joined cities across the country to support the Venezuelan people and their government on June 9. U.S. mainstream media outlets have falsely painted the Venezuelan struggle as a people’s revolution against an oppressive government. It is just the opposite. WWP members held their midtown demonstration at the corner of 6th and Market Street in solidarity with the Venezuelan people and to counter the misinformation of the corporate-owned media. A group of right-wing Venezuelans soon arrived and began harassing the demonstrators. They were prepared to attack, armed with large wooden poles and small Venezuelan flags taped on the side. At one point the reactionary group surrounded a woman comrade in the street, creating a pushing-and-shoving confrontation. The police intervened and then contained the two demonstrations to either side of the street. 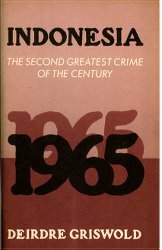 That made it very clear they wanted the U.S. to stage a so-called “humanitarian intervention.” Such intervention by the U.S. and NATO in Syria, Libya and other countries across the globe has soon led to bombs dropped on the people, along with financial and other destabilization. After about an hour, WWP activists began marching toward City Hall, handing out leaflets along the way. The counterdemonstrators scrambled to follow, their favorite chant still on their lips. At City Hall the chanting of both sides echoed together until street musicians began to play behind chants of “Up with Maduro! Down with Trump!” That silenced the right-wing Venezuelans and providing a beautifully melodious exit for our comrades. In Detroit on June 7, rush-hour motorists and passersby in downtown’s Campus Martius area were met by a solidarity demonstration called by WWP and the Michigan Emergency Committee Against War & Injustice. Chicago activists from Workers World Party, Chicago ALBA Solidarity, March 19th Anti-War Coalition and Partido Socialista Ecuatoriano demonstrated on June 11 in solidarity with Venezuela, demanding an end to U.S. interference. Philip Gregory, Terri Kay, Dianne Mathiowetz and Lyn Neely contributed to this article.